It is looking much better this morning with a light southwest wind forecast to swing more to the south as the day goes on. High tide is this morning at 10.45 this morning. Just waiting for the tide to fill in a little more and we will be out there. Friday already, dont the weeks just fly by. High tide is this morning at 9.35 am. Light winds now but fresher southwest winds this afternoon. Windy tomorrow, but looking better with lighter winds on Sunday. We wont be around on Saturday, but on Sunday we are in full swing at The Shed . The high tide is at 10.45 on Sunday. 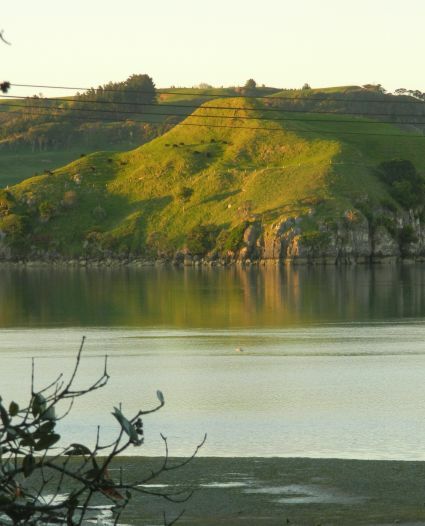 Just perfect if you are keen for a paddle. Off work that is and another day to go paddling. A very light northerly first thing that will probably freshen as the day goes on as they say. The tide is dropping heading to the only low tide today at 11.35am. High is late this afternoon at 6.20pm. Early evening really, all good though just have to be patient if you want to paddle on the higher tide today. 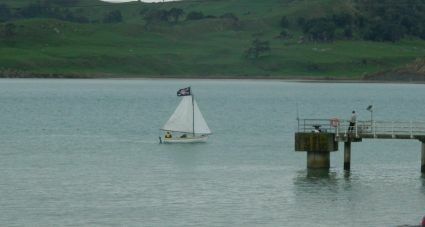 Should be able to be on the water by 3 to 3.30 just depends what the wind does. Yesterday was a busy day and a great day to go paddling. 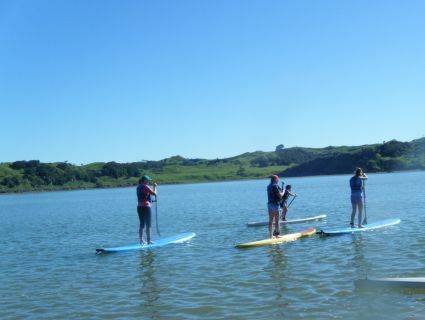 Kicked off the morning with Marsha and kids getting a glassey low tide paddle in. i must add here that yes you can paddle on low tide, just is very wind dependent and is really only do able with now wind. Reason being is that the water you are paddling on is just so exposed to the wind at low tide. 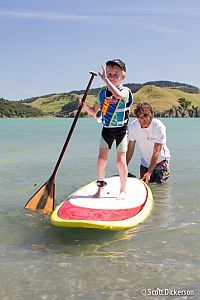 Yesterday we caught up with Hamish and his family who have become friends of ours through paddle boarding. 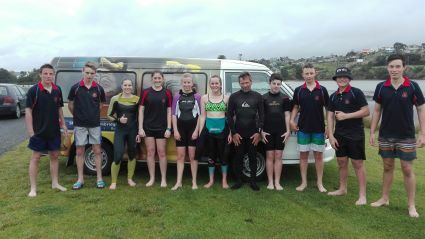 Great to see these guys get an excellent session in to kick off their paddle board summer season. 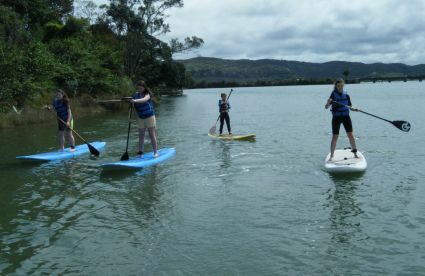 Also another group of friends come along a bit earlier in the day who hadn’t had a go before and as you can see by the pic below, a good time was had. Another great day for the long weekend. High tide this afternoon at 5.00pm. A freshening southwesterly this morning that is forecast to ease and become light this afternoon. Keep those fingers crossed, it was great day yesterday . 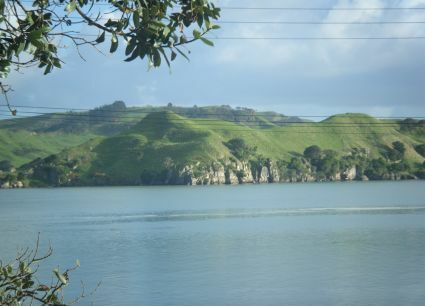 We enjoyed a rather pleasant paddle down to Lorenzen Bay with Tony, Sue and Zowie. We are fully booked this afternoon, but do have spots available tomorrow. Waves on the beach today if you are wanting to practice your paddle board surfing. Make sure you head down the beach somewhere away from every one else if you are learning and at the beginner stage. 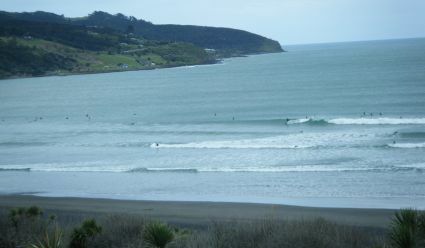 Beautiful day in raglan this morning, we are just starting to see the forecast south to southwest breeze developing. High tide this afternoon just before 4.00pm. Sunny and windy pretty much describes the last couple of days. It is spring and that is what we expect isn’t it ? Great it isn’t raining though, was getting very sick of that weather. So a long weekend coming up and the forecast is the standard longer range forecast from the met office saying cloudy and sunny. The wind is looking like a southwesterly tending more southerly and easing. Not looking too bad. Will up as we get closer. High tide today was at 12.20pm. 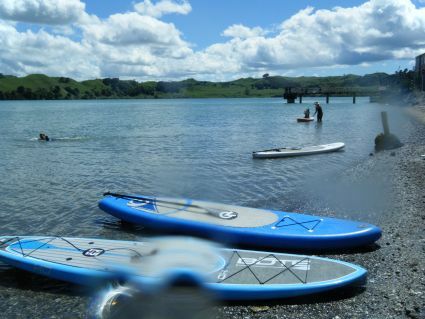 We are fully booked on Sunday, but have room for more paddlers on Saturday afternoon and Monday afternoon. 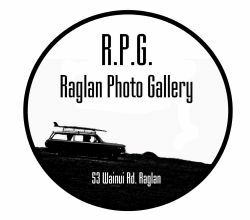 Just email me on keith@thepaddleboardshed.co.nz to make a booking. It is a good morning as well. What a change to yesterday. High tide is at 8.25 this morning. 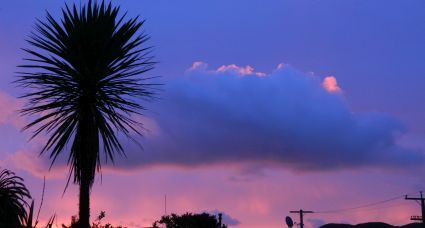 High again at 9.00 this evening. Nice a calm first thing with a glassey harbour stretching out in front of The Shed. But we are expecting the southwest wind to freshen this morning . So if you can hit the water before the wind gets into it. talking of hitting the water, we snuck a little surf in this week. 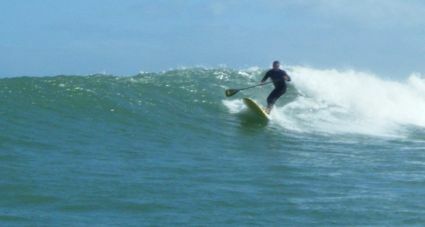 Below is a picture of Rob,flinging his Naish 10.6 around at Ngaranui. Funky surf though, we were a bit late the tide got into it and the wind came up. But hey we still got wet and caught a couple. 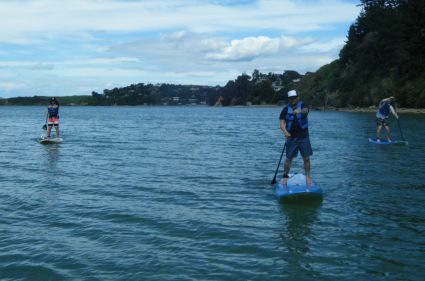 Wow you just wouldn’t believe how many times we had to cancel the paddle board lesson for the students at St Peters. Amazingly we all got together this morning at Kopua Domain . It was a grey morning turning in to a rainy start as I was setting the gear out at 7.30. Just a light breeze and a high tide so two out of three isn’t too bad. Any way the rain stopped and the school turned up. So it was into it. They were a great group with exellent cognitive skills. Look forward to seeing them back again and few more new faces from St Peters College, great bunch of young people. If this is the real next generation then bring it on, we are looking good for the future. See you guys on the water again this season leanne and her St Peters gang. Its another wild day today, not good for addling that is for sure. High tide this afternoon is at 1.40pm. Again a down wind is on the cards this afternoon. For the expienced only I must add. The wind really has kicked in this afternoon with a solid 15-20 knots of southwest wind. Just waiting for the tide to drop a bit more and then its down wind time. 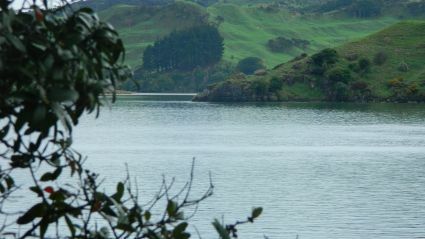 Morning, unfortunately it is too windy today to go paddling. The sun is out but for how long with the squalls queuing up to come in off the Tasman Sea. 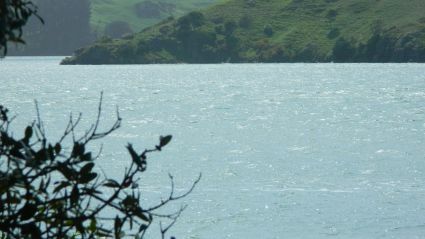 Stronger winds this afternoon, with the possibility of a down wind paddle for more advanced paddlers. High tide is 1.20 this afternoon. The wind filled in earlier than expected and had touch too much west in it for The Sheds backyard, so headed to Kopua Domain. High tide and a shining sun, kicked the start of the season off nicely. Daniel at my side for the first one of the year. 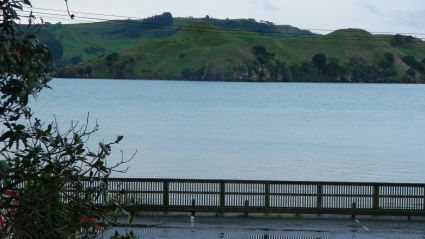 Yes its another grey day with high tide this morning at 11.10am. The forecast is for showers today. So as you can see not a lot of change from yesterday. Below is the beach with a little wave. Again today it is looking like freshening northeast wind stronger in the afternoon. Morning, its groundhog day with another day of northeast winds and grey skies. High tide is 10.45 this morning and again you will need to look for somewhere out of the wind. Small waves again on the beach and another opportunity to try paddle boarding in the surf. Its a grey start to the day today with a northeasterly of a round 4-5knots. We are expecting a freshening wind again today. High tide is at 10.00am this morning. 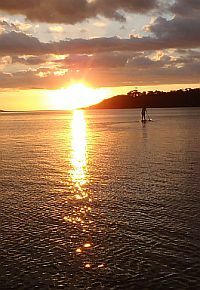 There are places to paddle on the high tide where you can escape the wind. You still need a wetsuit if you are going to get in the water. The open coast continues to have a small lingering swell and if you were thinking of trying paddle boarding in the surf, the conditions are good. Just find somewhere away from everyone else so you are not a danger to the people in the water. The tides are great this week with high tides in the morning. Next week we will have early afternoon to mid afternoon high tides. So again couldn’t be better as long as the winds stay light. Just had a great paddle with the grand kids. 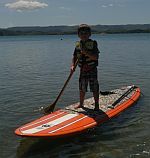 Made me think how cool paddle boarding is in the way age doesnt matter. Tides dropping now and we are heading to a low at 3.10 this afternoon. High wont be until 9.45 this evening. Great morning for paddling with high tide at 9.15am this morning. Light northeast first thing with freshening winds again today. Go this morning if you can.